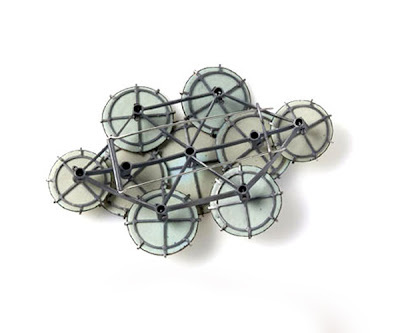 This exhibition of contemporary fine art jewellery looks to explore and stretch the notions of how or what it is to ‘don’ Oxford. Contributing artists have been selected for their collectively broad approach to jewellery making and will undoubtedly reflect, interpret and respond to this theme in varied and surprising ways. 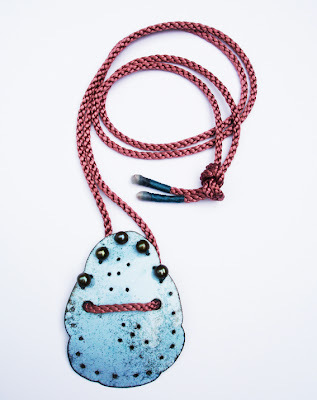 Farrah Al-Dujaili – ‘Out-of-the-way-things’ necklace Copper, enamel paint, acrylic paint, watercolour, beads, acrylic coating. Tues – Fri 12-5pm, Sat & Sun 11am-4pm, Closed Mondays. bien surveiller les/ses ARRIERES !! L’arrière des broches est tellement soigné qu’il est parfois plus beau que le devant, avec en plus cette notion de « trésor caché » rien que pour soi ! 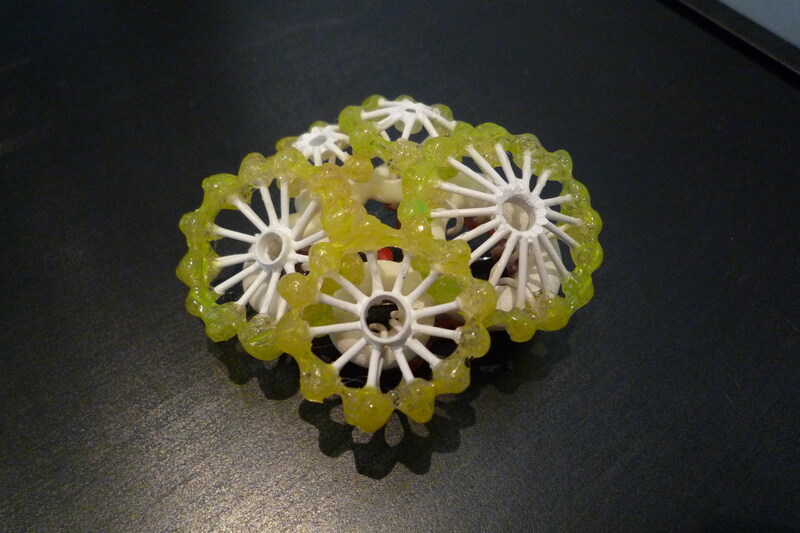 Montserrat Lacomba- ‘la casa-el mundo’ – brooch – back ! 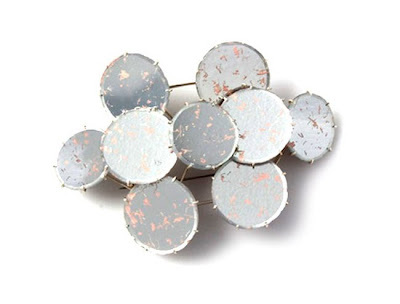 Ellen Jacobsen Holvik - brooches « Dust » Paper & silver. REALLY, REALLY …. TREASURES !!!!!!!!!!!!!! 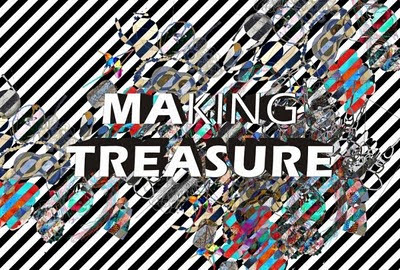 « Fantastical edible creations, modern re-interpretations of historical decorative arts, rubber glove garments and wearable drawings, a selection of what will be showcased at Making Treasure, the MA Jewellery, Silversmithing and Related Products graduate exhibition opening on September 13th. 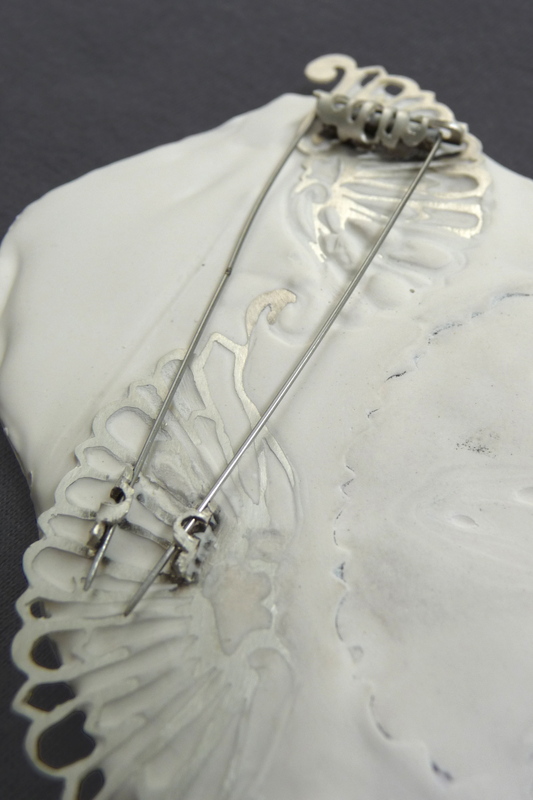 The exhibition is the culmination of the intensive one-year long course taught at the renowned School of Jewellery, Birmingham City University. Farrah Al-Dujaili, Laura Brannon (UK), Li-Chu Wu (Taiwan), Miriam Rowe (US), Ningrui Zhou (China), Xiaorui Zhang (China), Yu-Ching Huang (Taiwan), Yuhan Ye, Hsiang-Lin Lu (Taiwan), Natalie Smith (UK), Simon Pattinson, Yi Lei Li, Yi Liu (China), Yu-Ping Lin (Taiwan), Suchanan Chinanuvathana (Thailand). « Not only is perception of ourselves, of others and the world around us, a source of inspiration, it also invites us into an active and dynamic engagement, which is deeply related to the things we make. Considerations of sculptural form, composition, material, function and aesthetics are enhanced by contemplations of meaning, emotional investments and intellectual content. The creative work of the makers in this exhibition address aspects of the most vital issues in contemporary applied arts; in their questioning of established ideas of what constitutes adornment, how decoration should be defined and executed, these works engage the eye and the mind simultaneously. They appeal to the intellect, whilst eliciting an instantaneous sensual reaction of pleasure, a desire to touch, hold, use and wear. 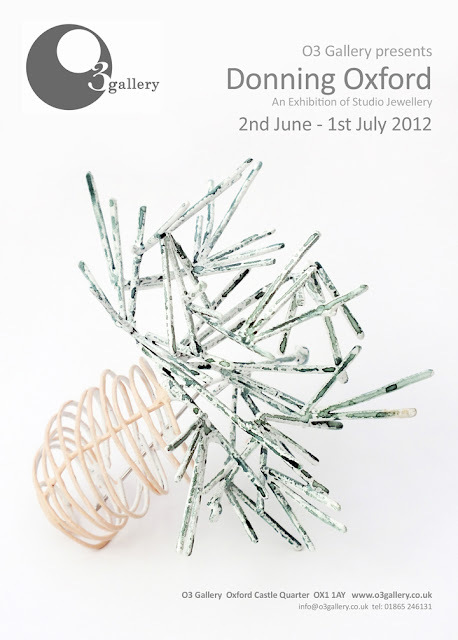 MA Jewellery, Silversmithing & Related Products is the overall title of the course. This is however a very limited and traditional description when one considers the wide variety of products that are within the province of the designer who has knowledge and expertise in the area of personal ornaments, body signification and decorative metal objects. The variety of materials, manufacturing techniques and processes available to an artist or designer in this field is far larger and of much greater potential than is indicated by the term ‘jewellery and silversmithing’ and has some affinities with industrial design, fashion design, fine art and sculpture and is often informed by intellectual engagements like general philosophy, conceptualisation or critical theory. My design methodology revolves around the act of drawing as an intuitive and subconscious process; geometric and organic components ‘grow’ alongside each other to create visual contrasts. Through a palette of feminine and masculine symbols, heavily detailed flowers and geometric shapes and crosshatched lines hybrid forms are created; not overtly floral, but organic and playful. 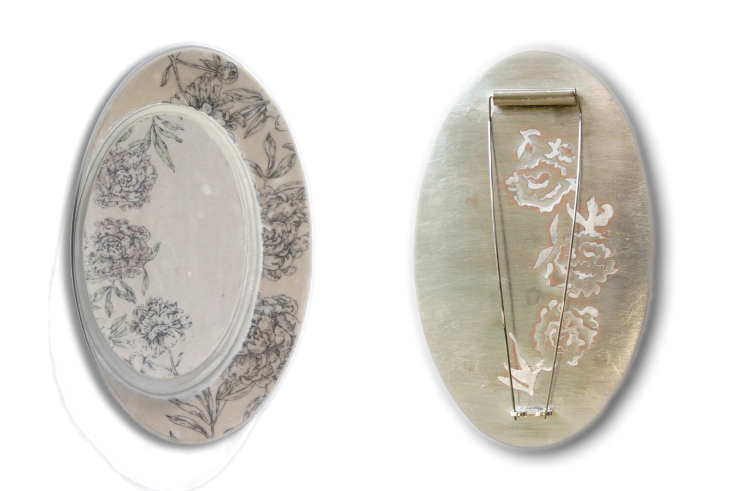 My making is immersed in metalwork because of the material’s ability to be visually delicate but physically strong. Fragments are created and later constructed to create the idiosyncratic detailing that appears in my drawings. I work within an intuitive mix of drawing and making that crosses over and intertwines. I apply drawing materials of pencil, crayons and watercolours to a surface of enamel paint. This gives an interesting material link to my design methodology, enforcing the dialogue between drawing and making. 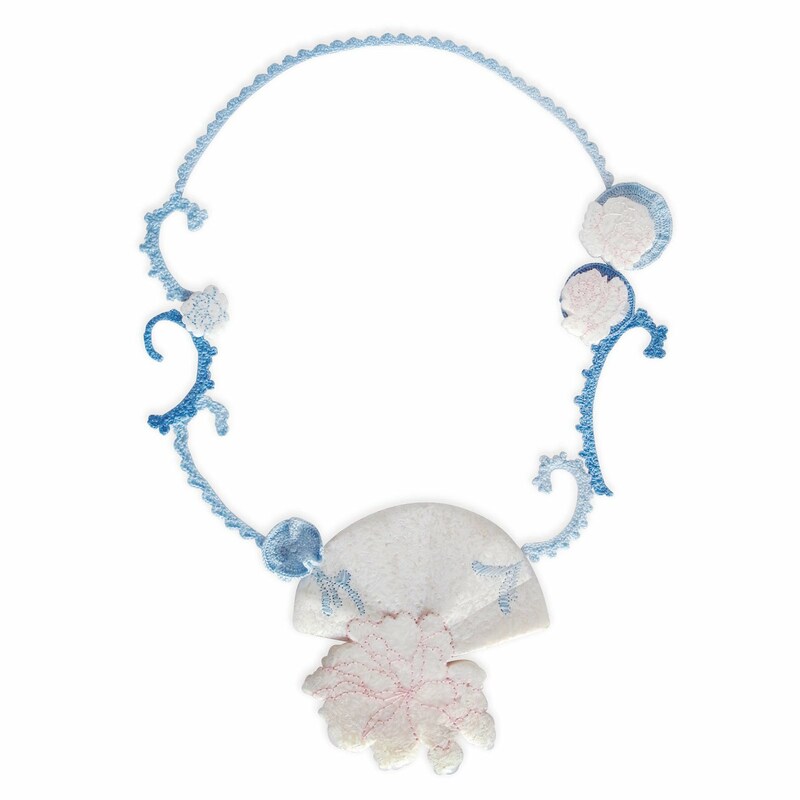 Farrah Al-Dujaili – Untitled 2, Neckpiece, 2010. Copper, spray paint, thread. Rice is cheap, small, but vital. I like the taste of rice, and the form of rice. I enjoy playing with the rice grains and placing them into different shapes. They are like bricks creating lush texture and speckled pattern. In contrast, lace, delicate embroideries, and ribbons present the opulence and craftsmanship of aristocratic fashion. For some people, food is the only object they desire, unlike the ladies of the court who are chasing adorned shoes and beautiful garment or jewellery, the vast number of people need bread and water. Rice is the food that most of the people in my country rely on. It is the symbol of living, a symbol that is cheap but essential, which is like potato or corn to others. The definition of ‘ordinary’ and ‘luxury’ at different levels of social status is contradictory and interesting. I use this ‘ordinary’ material to describe opulence, and also explore the meaning of value and preciousness in different contexts. 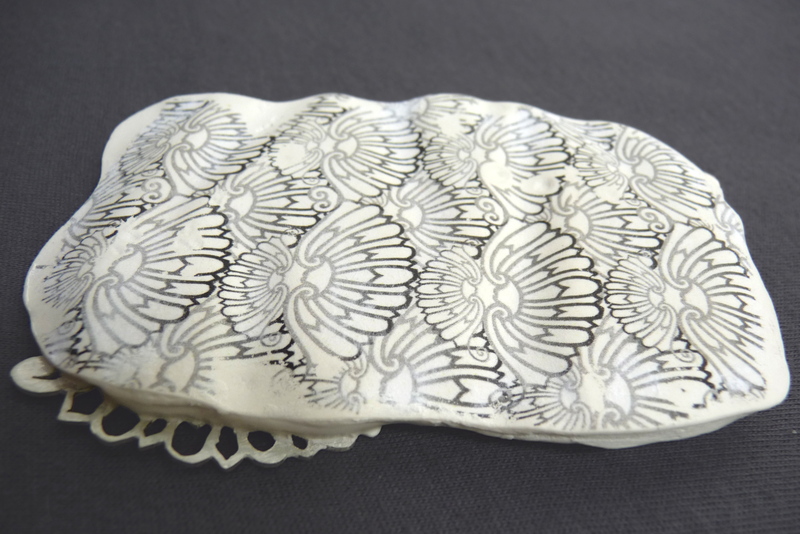 The richness and tactile abundance in the texture of rice delivers a deluxe beauty in place of the lace and jewels. I use this cheap material to produce enchanting and original works. 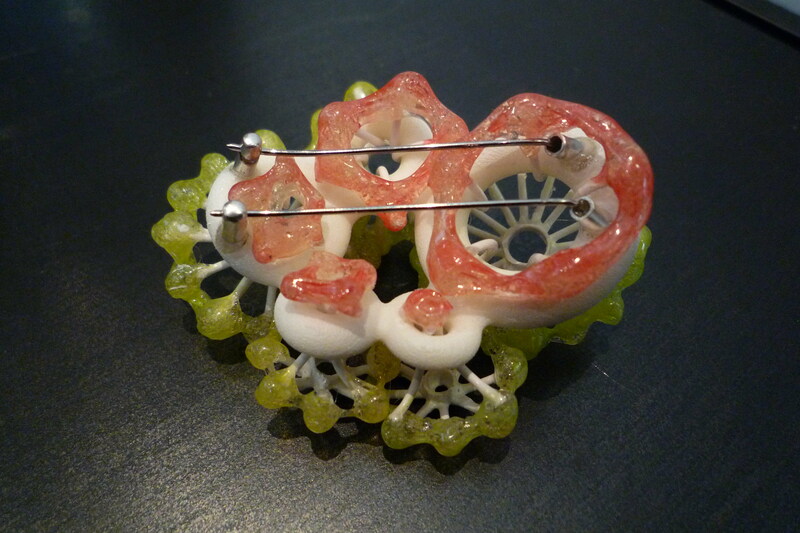 I create Jewellery that is grotesque yet intriguing by using rubber, plastics and found objects. Symbols from our collective subconscious, weird imagery of clowns, costumes, monsters and madness have fuelled this idiosyncratic collection. The objects show elements of play amongst those of fear- this ambiguity can give the viewer an uncomfortable feeling as it requires to engage with two contradictory ideas at the same time. This I find fascinating! My making process is spontaneous but controlled. I use a wide range of materials including rubber, plastics, foam and found objects. These contrasting textures and clashing colours are amalgamated, allowing the pieces to develop sculpturally. The use of ready-mades gives structure to the work and increases uncanny feelings. We know these ready-mades but when they are positioned within this madness, they offer new perspectives- we have to take a second look. Paper has, without doubt, many varied uses. However, multiple layered paper interests me with its subtle movement and tactile qualities. 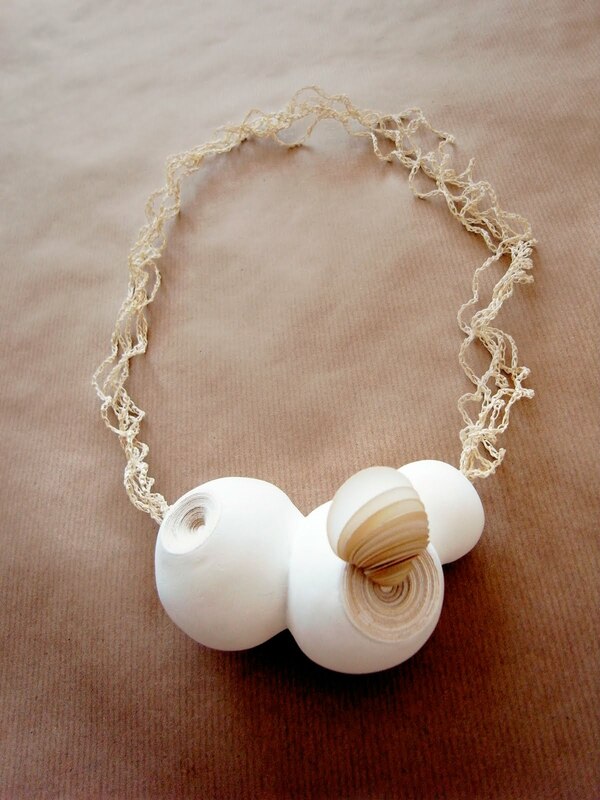 I aim to recreate the link between the material and its original source in the natural environment. Pure and organic elements reveal a delicate and subtle visual language. 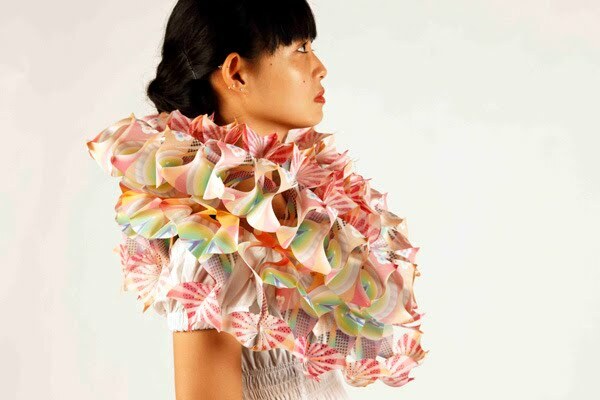 The pieces function both as wearable pieces of body adornment and as sculptural objects off the body. 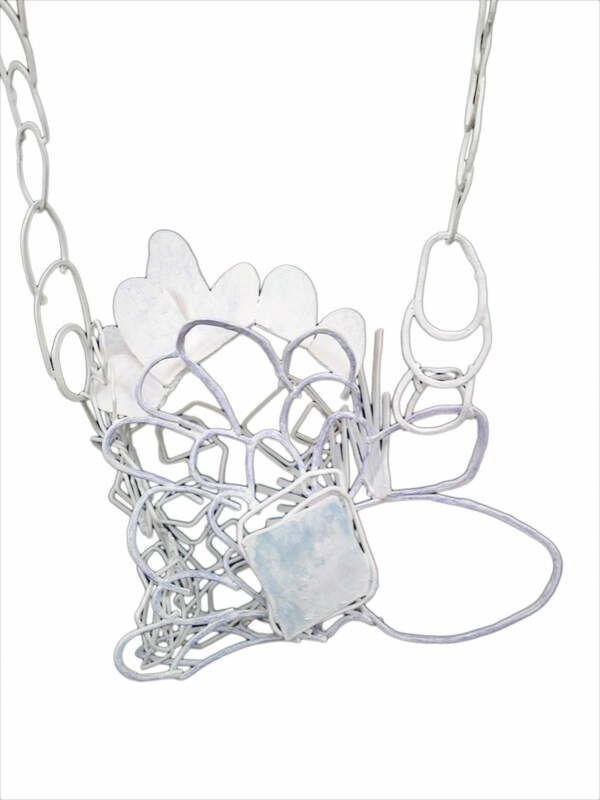 The soft and subdued tones of colour that I choose give a quiet, calm and contemplative quality to the pieces. Time is an essential element through the making progress; time, nature and I form my works, meticulous working processes enable me to develop a range of elements, which create the compositions. I am interested in the dialogue created when recognisable forms from the history of European fashion and the decorative arts are combined, changed, and reinterpreted in a modern material. For this project I chose to focus on material research and development, exploring plaster as a primary material in jewellery. Plaster has long been used in architectural decoration, but the plaster I use has been chemically changed with modern products to create an altered material that is waterproof and suited for use in jewellery production. 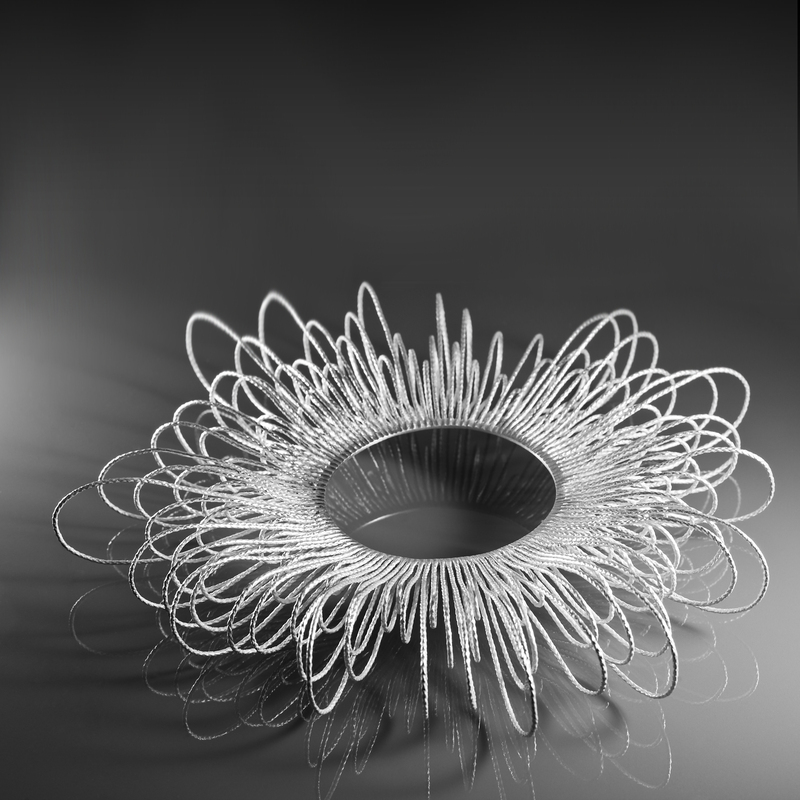 I explored surface enhancement and advanced construction techniques to further develop the jewellery. I developed my construction methods based on historical plasterwork, adapting these techniques to fit my personal design agenda. The images and forms I use come directly from my photos and drawings, based on objects seen on my visits to museums and stately homes. My interest in the forms, patterns, and images from the rich history of European design inspires this collection of contemporary jewellery. 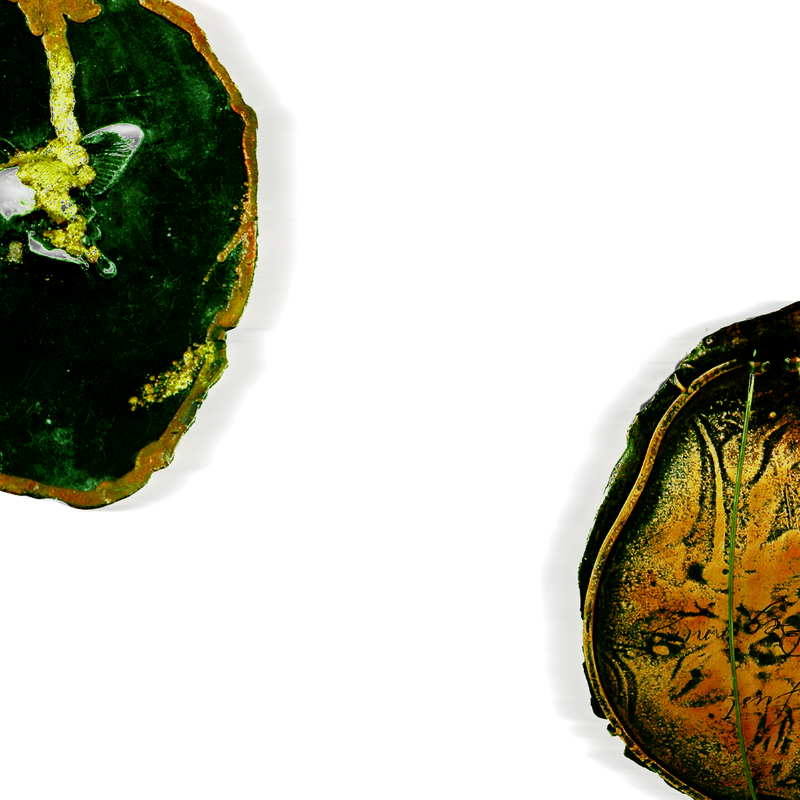 My work explores the ideas of growth, transformation and disintegration. I find inspiration in surrealist science fiction, which is rich in atmosphere and imagery. Many of the books describe apocalyptic landscapes and alternate worlds that are on the brink of geographical catastrophes. In these dramatic dreamscapes there are no utopias, emphasis is placed on mental explorations and evocative journeys of the isolated humans. 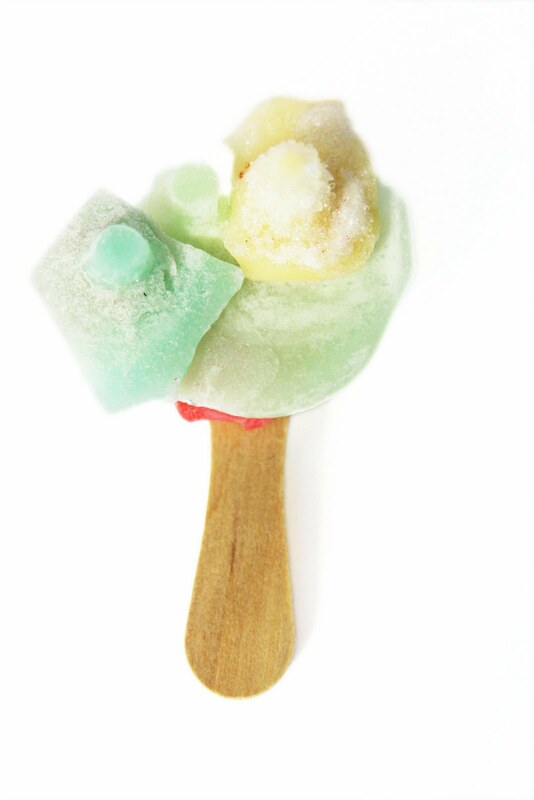 I create my pieces by combining permanent and temporary materials such as textiles and sugar. I like the pieces to have a constantly changing structure and once completed, begin their transient lives. Depending on how they are cared for they may dissolve in humid conditions, change colour or melt like an ice-lolly on a hot day revealing the materials underneath. The evolution of the work is something that interests me greatly. I do not attempt to try and control what happens to the pieces after they are finished. I like an element of surprise. The theme behind my work is to create a “city in the sky”. My inspiration initially came from a plastic bag flying in the air which I saw when I looked up into the sky .This evoked a good feeling and I began to consider the concept and question of flying; why should jewellery not fly? 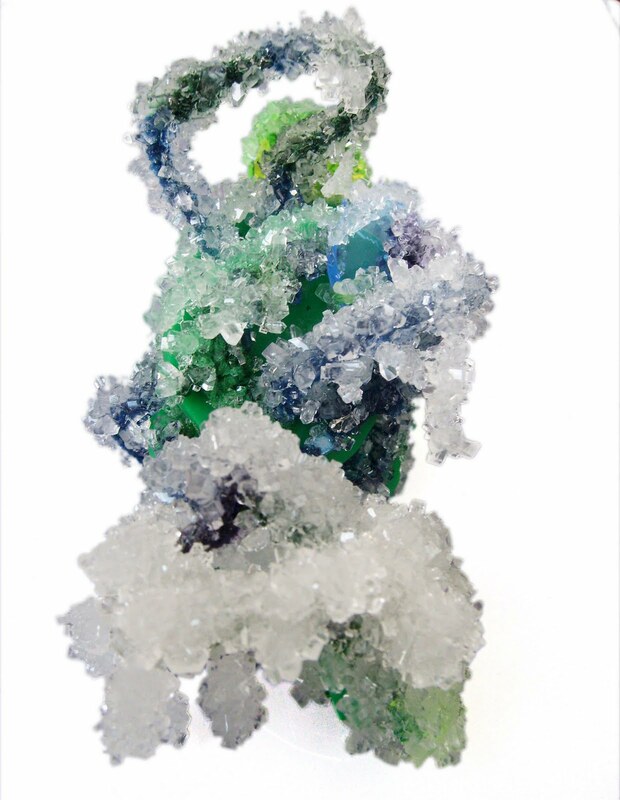 My work evolved from this to become sculptural objects. 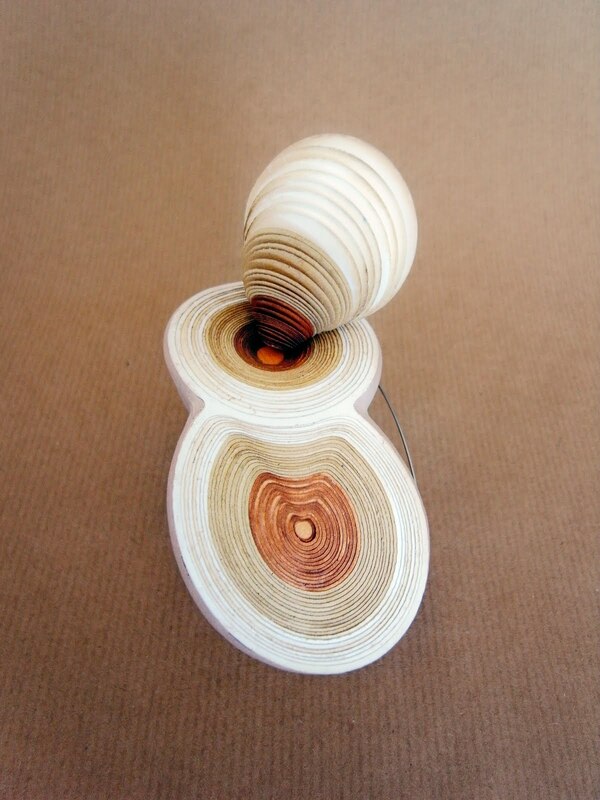 I create objects from bamboo and Chinese rice paper, exploring form, shape and structure. The visual use of lines in the pieces, in the installation and images of my work build together an alternative city skyline. I hope people can find a feeling of freedom and escapism in my work. I express this idea by taking photographic views of the city and making short films to tell stories about my flying pieces. My work derives from an exploration of the relationship between form and function. I look to create functional objects for the home which challenge and excite the user with designs which are serious yet play on their relationships. 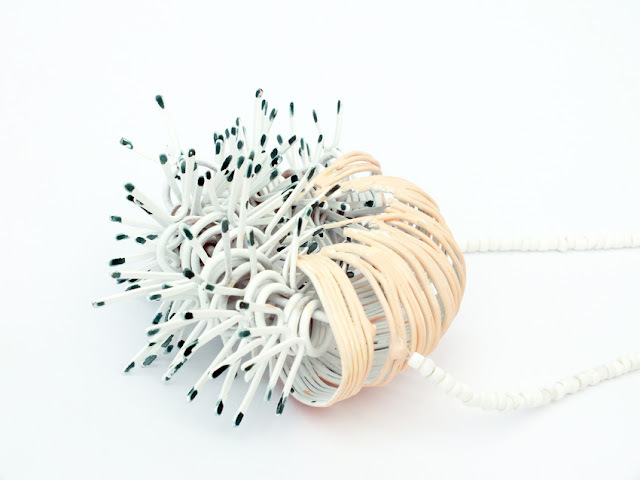 I have explored possibilities in form to create objects which invite interaction and arouse interest beyond mere function. Through these ideas I have created families of objects which communicate with one another and belong. I look for relationships between materials, processes, colours and finishes, in different mediums including ceramics, metal and wood. 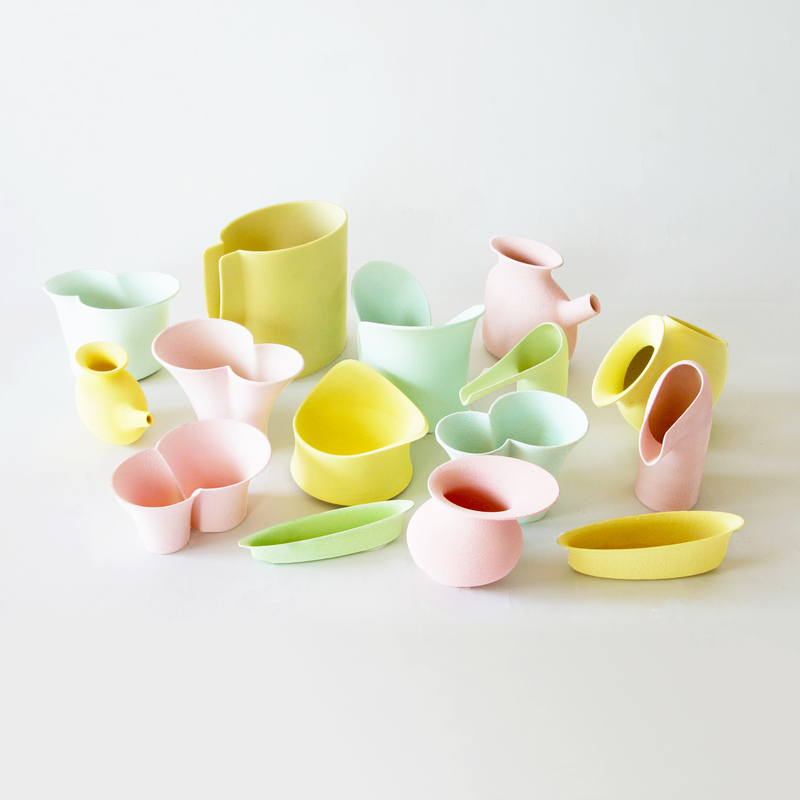 I have used industrial processes to create some of the objects, whilst others have been developed using paper and card. When people interact with my work I want them to smile, to have fun with the objects, bringing joy to the relationship between object and user. “Line is a basic element that exists in nature as a structural feature such as branches of a tree, or as surface design, such as striping on a tiger or a seashell. It can also exist by implication, as the edge of forms or its silhouette”. (Joseph A. Gatto 1987) – I am interested in linear form and structure; the way in which a simple component can be combined and connected to create complex patterns and forms. All of my pieces are created from only one element “line”. 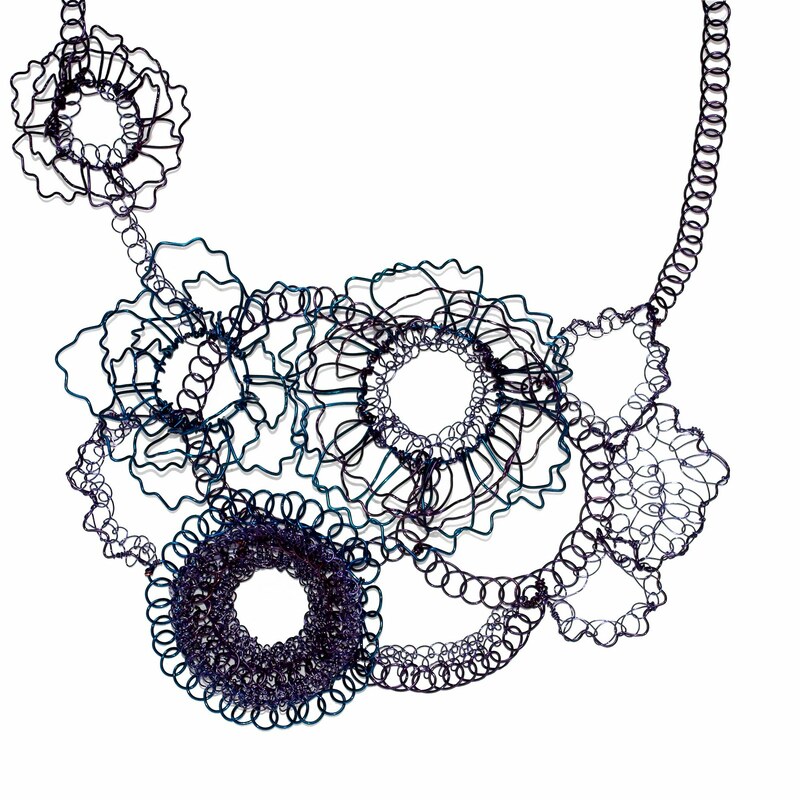 I use a combination of curved lines to create my own three-dimensional forms with my textured wire technique. I use my traditional fine jewellery skills to make sculptural and wearable jewellery by using precious metals with simple colour range to show the purity of the line and the structure. I aim to make each piece appear beautiful from all angles. 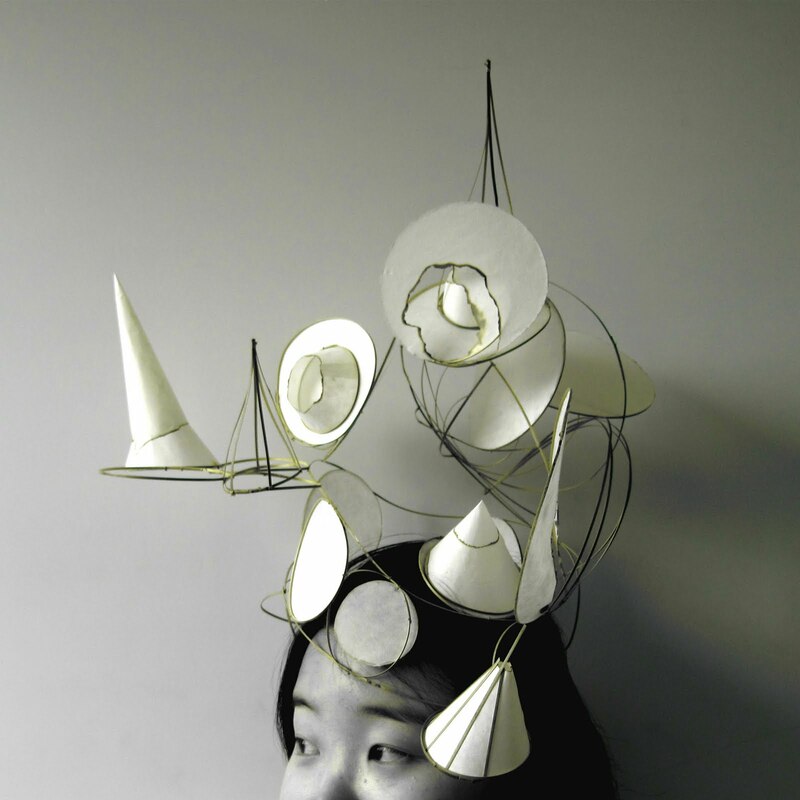 My work explores exagerated form and flexible wearability. I am interested in the idea that clothes are usually dominant and jewellery secondary, worn as an accessory to add decoration. My enquiry reverses this concept. 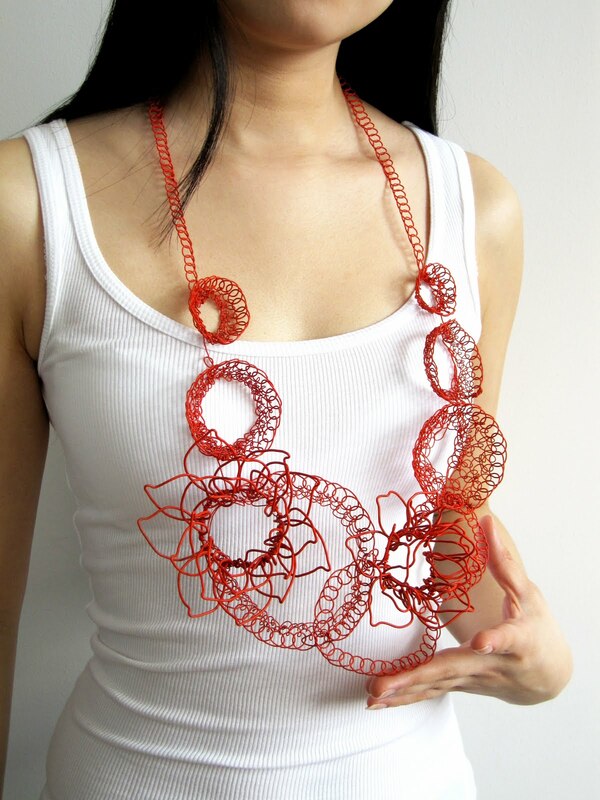 To show this emphasis I create large scale jewellery that attracts people’s attention and functions like an item of clothing. 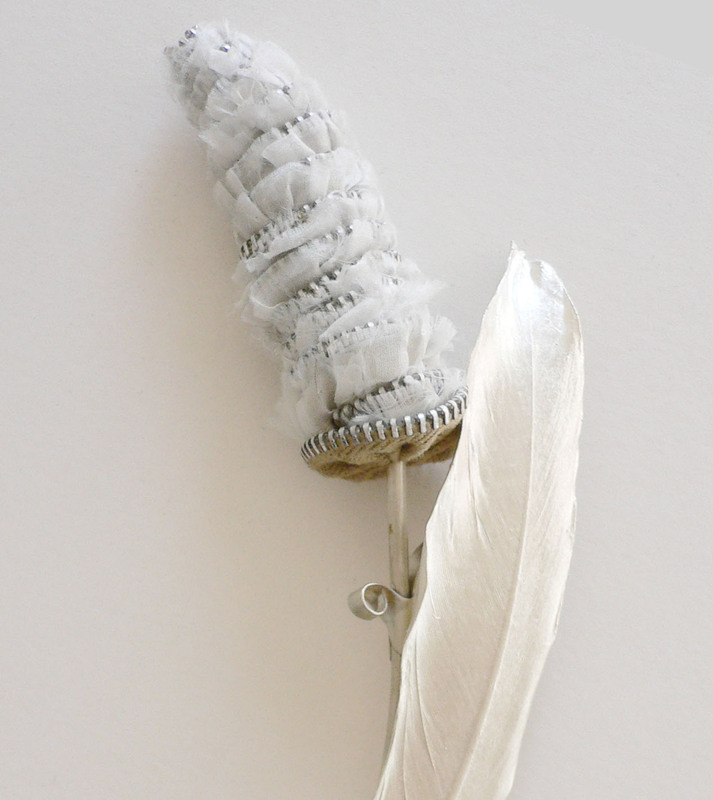 I choose rubber gloves as my material, aiming to transform a mundane everyday item into beautiful and original objects. I explore special dyeing techniques on the rubber gloves. I aim to create a unique aesthetic combination of sculptural construction, dramatic colour and texture. I see my work as visually interesting pieces for every-day wearing. My jewellery investigates notions of mourning and memorial jewellery, souvenirs that remember a loved one and which are a reminder to the living of the inevitability of death. I work predominately in plaster, which communicates a feeling of fragility related to our weak and transitory life. Life is precious! I chose to work with tones of black, white and gray. These three tones are the background in my work and are combined with the highlights of copper and gold to form a contrast between preciousness and emptiness. I created images on plaster with symbols of death once used in Victorian mourning jewellery such as skulls, skeletons, and human hair, Memento Mori that are a warning against vanity. My inspiration comes from nature; the linear structure of plants is fascinating to me. I refine these natural shapes from my photographs of plants by overlaying line drawings. 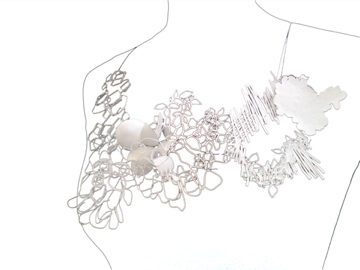 By using metal wire and crochet techniques I transfer graphic shapes into interesting and original three-dimensional structures to make wearable pieces of jewellery. My collection is like a ‘garden’, every piece is unique with different colour, structure and other contrasts. They express feelings in the same way like in a real garden, where each kind of flower has its own beauty and character though they are different, they can enrich each other and be in harmony. In the process of exploring the linear structures and the balance between each piece and the whole group, I am trying to express the beauty I have found in nature. My designs mirror myself and how I have been shaped by the people I have met. I am looking for an answer to what might be a gentle and considerate. Could silence be heard, even without talking? Could virtue be seen, even without showing? Could people not hurt each other, even though we all flawed? Sometimes flowers and plants give me part of reply in the symbiotic relationships they have with other plants and organisms. Plants always have their individual characteristics but don’t interfere with each other. Maybe this is the reason I am fascinated by them. I chose to use zips in my work to show the connections between people, events, things or places. People all want to connect and have graceful relationships like flowers in a garden. My work combines popular fashion elements and bold colour which relate to Pop Art. I organise these elements as collage and stylised images of fashion and beauty. I create my own images from these fashion elements using computer software. The colour range within the images helps me to bring my work together as a collection. Together with the illustrations and bold colours, I have also designed electronic circuits to extend my jewellery into the realms of light and sound. Adding the electronics makes my work more playful and gives an added function which encourages interaction. My illustrations can be illuminated by the light when worn in a dark place. I have also added sound sensors to my work, so that my work can be changed by the volume of the speed of speech and music. My work is process-based and structurally complex. I am never without a sketchbook where my ideas evolve so I am constantly drawing with brush strokes. The inks sometimes bleed into the Chinese rice paper and at other times they develop into more in-depth ideas and detailed images. 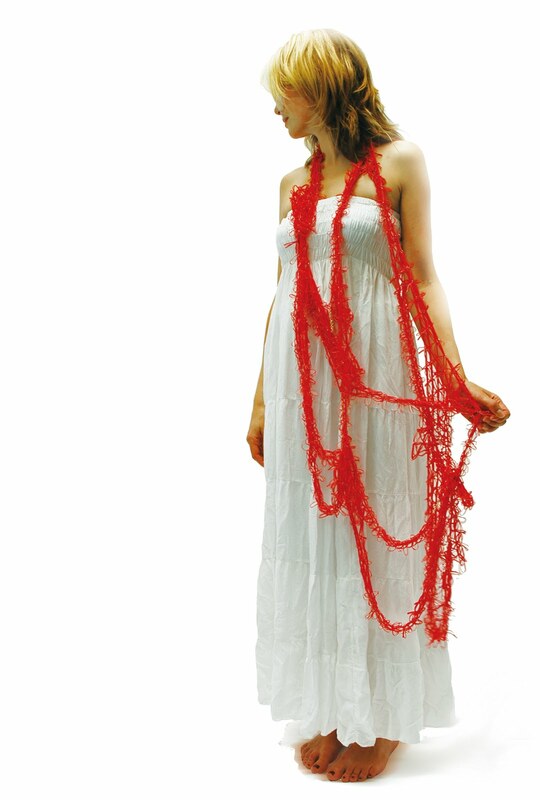 I did not set out to be a fashion designer or to create artwork relating to environmental issues but as my portfolio developed and I became interested in both style and ecology. My work tends to focus on inspiration from nature, the notion of folding and pleating, architectural structures, interaction with people and seduction of pattern and colour; the original pleasure captured by the structure of organisms and forms inherent in nature. Miriam Rowe découverte la première fois sur son site où elle demandait très innocemment ce qu’on préférait de ses essais en bijoux : j’ai adoré cette spontanéité, cette … « ouverture » (publier, montrer ce que l’on est en train de créer), si à l’opposé de nos habitudes françaises …. et la voilà que je la re-découvre dans « kit&caboodle » ! :-) c’est un signe ! « I am currently finishing my masters degree at Birmingham City University in Birmingham, England. I did my BFA in Jewelry and Metalworking at the University of Georgia in the USA and also studied jewellery and metalworking in Cortona, Italy. I’ve been really fortunate to be able to study at so many different places and I’ve always enjoyed letting my surroundings inform my work. 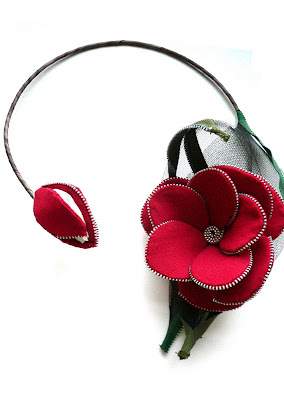 My interest in historical fashion and the decorative arts has given me a design agenda to pursue as I make my jewellery: I am interested in taking forms, patterns, and images from the rich history of fashion and decoration and reinterpreting these historical elements in a contemporary way and a modern material. 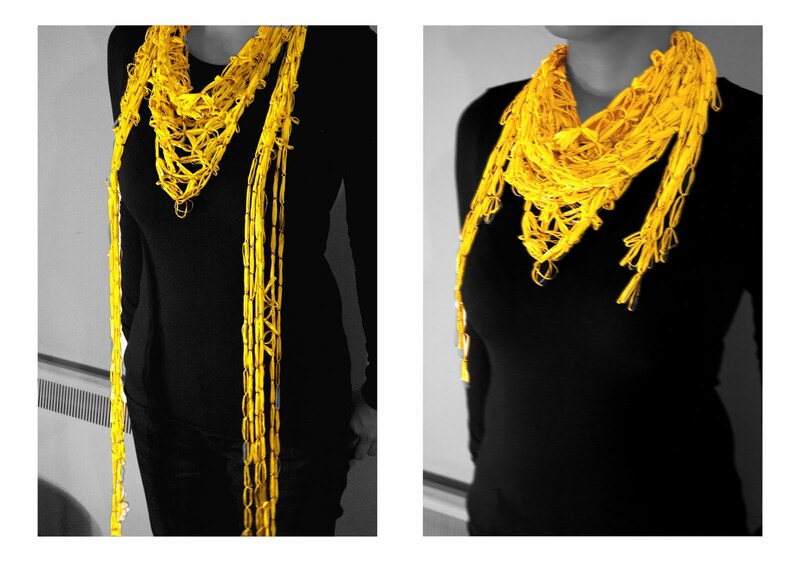 Lace Necklace – Back (top) & front (bottom) – which one is best ?